MTN has always been using their borrow me(Airtime/data) as a source of income. Even after charging 5-50naira on each amount of airtime you borrow, if you borrow airtime form MTN and you are unable to repay it within 48hours, additional 0.05naira will be added to it daily. The longer the time it takes for you to repay them, the more money they earn. I actually never wanted to post this but have been see a lot of blogger using this little trick as another source of income which is not good, most of them were informed by someone for free. This little trick I'm about to post is not something that just started, it has been around for a while or probably a long time(about 4years). It was blocked until it was recently reactivated. ⚪Migrate to MTN Mpulse on the sim you borrowed airtime from and on the sim you want to transfer airtime from. ⚪gift the sim you borrowed airtime on 50naira. 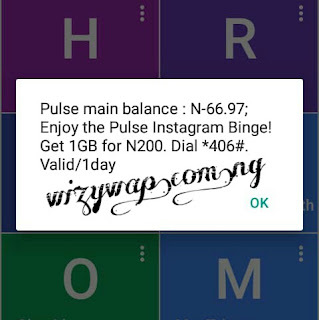 ☑With this little trick, you can borrow as much airtime from MTN as you want and get it cleared with just 50naira. You can actually use this trick to borrow airtime of 500naira, buy data worth 500naira and clear it with just 50niara which means you are automatically buy a data worth 500naira with just 50naira. If you liked this trick, please invite friends to visit this blog and also don’t forget to share this article to them, enjoy!